Our technology is expertly delivered with flexibility and precision. The ultimate tracking experience. The Geo-TraxMICRO Pro is a powerful multi-functional device designed for a myriad of fleet tracking and asset monitoring applications. From personal, pet, and vehicle tracking to tracking of remote assets and equipment, the Geo-TraxMICRO does it all. With superior receiver sensitivity, fast TTFF (Time to First Fix) and Quad band GSM frequencies 850/900/1800/1900MHz, its location can be tracked live or periodically monitored and reported to the EZ Riders GPS backend server. The Geo-TraxMICRO can be configured for 60 second GPS tracking updates, or as infrequently as twice daily. A truly flexible and customizable wireless MICRO GPS tracking device. Event violation alerts and reports including – motion start/stop, geo-fence, low battery, speed violation, and more. Can also deploy with an integrated panic button. Have questions? Call us today! We would love to hear from you. Wireless tracking in over 175 countries using a single SIM card – Only $19.95 per Month! 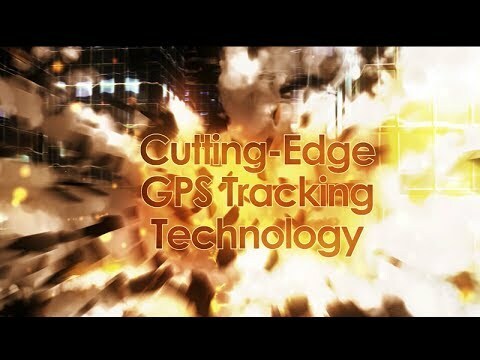 The Geo-TraxMICRO Pro is a powerful, multi-functional wireless GPS tracking device. User’s can ping the device on-demand, self-reboot the device, and change the tracking interval O.T.A. All this and more is at the fingertips of EZ Riders clients. Simply amazing! Small – 5.06“L x 3.95”W x 2.43”H (device and case) – discreet and concealable. Rechargeable 3.7V 13,400mAh li-polymer battery pack. Internal GSM and GPS Antennas. No external antenna or wiring. Gyroscope and 3-axis accelerometer for battery life and motion detection. IP67-rated waterproof Slap n’ Track magnetic mount enclosure (80 lb pull magnet). Web-based wireless GPS tracking. Covert vehicle tracking, remote asset tracking, anti-theft applications and more. Global coverage! GPS Chipset: uBlox All-In-One GPS receiver. Fast and accurate sensitivity. Track mobile & fixed assets in over 175 countries, using only One SIM, and for only $19.95 per month! No hidden fees. Gain greater insight into real-time location and movement information, access reports, alerts, and more. From monitoring fleet individuals to vehicle surveillance, our tracking devices are cutting-edge, flexible, and adaptable.